Several weeks ago my wife and I invited my mother to Lehigh Valley to celebrate her birthday. We suggested several restaurants she had visited in the past, but she decided that she would like to try something new. That’s when I suggested we visit Yianni’s Taverna in Bethlehem. I have taken my wife to Yianni’s several times in the past year and was extremely excited to have my mom experience this authentic Greek restaurant. I knew she would enjoy the beautiful murals and unique ambience. The three of us began our lunch with an order of Saganaki (pan-fried Kaseri cheese Flambé). Our waiter did a great job of creating a show while preparing the cheese in front of us. After enjoying our appetizer, it was on to our main course. We all had the Chicken Souvlaki, which was served on 2 kebabs with pitas, vegetables and a flavorful Tzatziki sauce. The entrée was paired with Patates Tigantes (Greek Fries). These fries were seasoned with oregano, salt and Kefalotiri cheese. The entire meal was delicious and the Greek Fries were definitely a highlight. Since we were celebrating a birthday, I had asked the staff to bring out a Greek dessert. Our waiter brought out a tray of Kourambeides (Greek butter cookies with toasted almonds) for our table. My mom had a great time at Yianni’s and is already asking about a return visit. 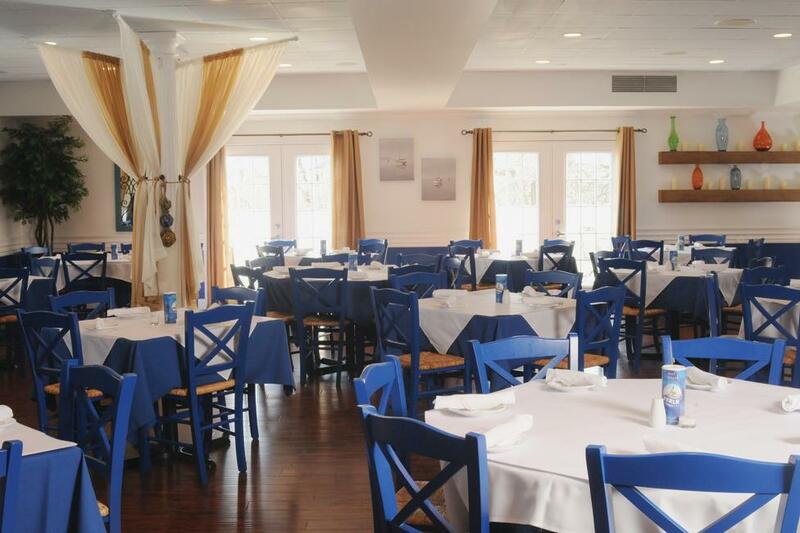 What is your favorite Greek meal at Yianni’s Taverna?